Western PaddleSports is a National Training Provider for Paddle Australia in WA. We have been training and assessing candidates to the Paddle Australia Qualification Scheme level for several years. It is an important part of our focus. We provide an environment that can train you to the national standard, and provide a mentoring environment in which you can work with experienced instructors as you gain experience. Those who successfully complete Award Scheme courses achieve nationally recognised awards. More information on the qualification scheme can be found under Awards & Services. Those who successfully complete Paddle Australia Qualification Scheme (PAQS) courses and assessments achieve a nationally and internationally recognised awards Paddle Australia (PA) are the peak body for canoeing in Australia and are affiliated with other similar organisations world-wide. In 2002 the PAQS (formally Australian Canoeing Award Scheme) made the transition from the previous generic scheme to a system based on units of competency from the VET Scheme, and this continued until recently when it was decided the VET Scheme has simply become too cumbersome and unsuited to the on-going requirements of training and qualifying paddling instructors. The Award Scheme still retains parallels to the VET Scheme where appropriate. By freeing itself from the restrictions of the VET Scheme Paddle Australia is able to continue to develop and revise the award scheme as required to meet the needs of paddling leadership without being shackled by the increasing levels of bureaucracy now associated with the VET Scheme. There are intermediate stages that are possible, but for practical purposes the working levels of the Qualification Scheme are either a Guide or Instructor award. Awards start at flatwater, and can be progressed to the advanced whitewater and sea kayak levels. 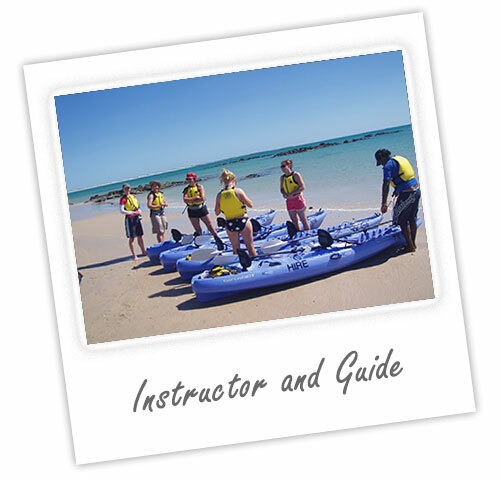 Paddle Australia manages the national instructor registration scheme. Those who achieve Guiding or Instructing Awards are required to submit evidence of currency of practice every three years in order to retain registration as a Paddle Australia Guide or Instructor. Course Duration and Fees according to requirements.